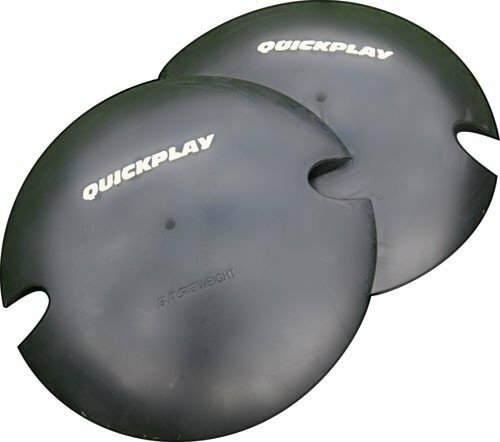 QUICKPLAY PRO AGILITY POLE BASE WEIGHT - Heavy-duty solid rubber base, has a top receiving hole that fits QUICKPLAY PRO Agility Poles and ensures they stay in place when a ground spike can't be used. 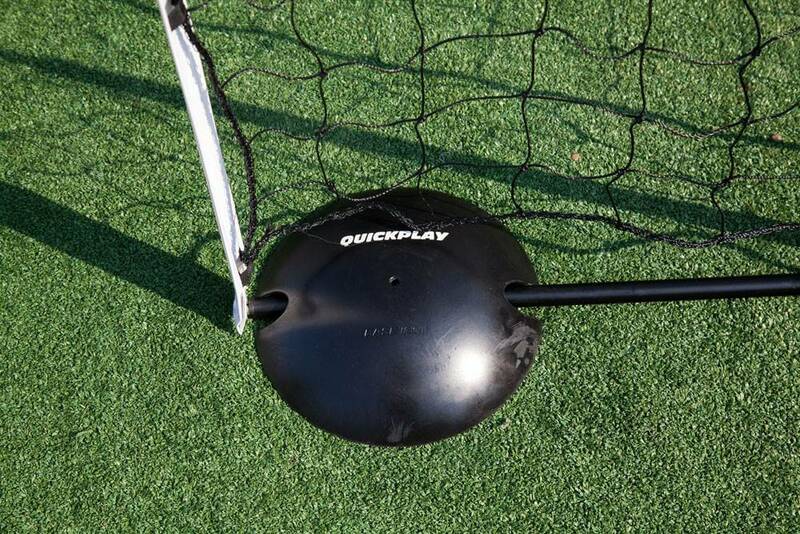 Each base weighs 6.5lbs / 2.9kg, no need to fill with sand or water like other base weights. 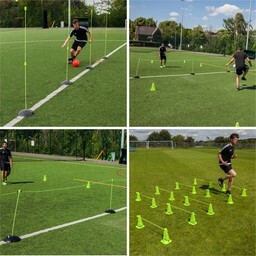 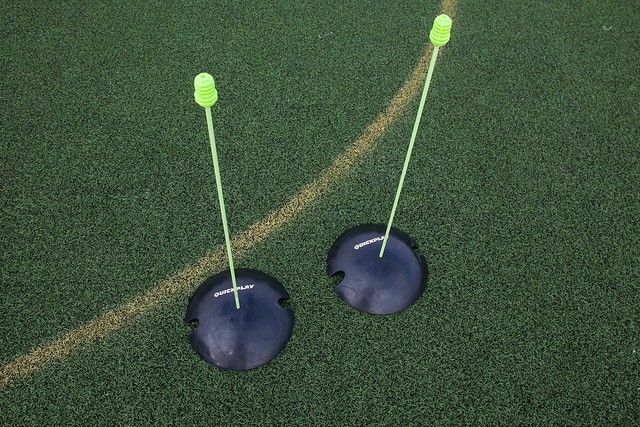 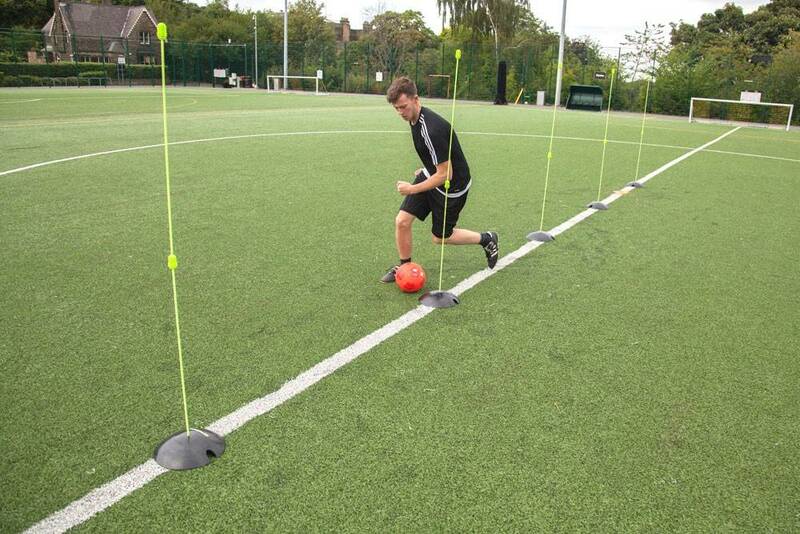 A VERSATILE EQUIPMENT BASE WEIGHT - Use the Pro Base Weight to secure your Kickster goals and Spot rebounders and other sports equipment such as SKLZ Quickster Nets, Bownet Goals, Pugg Goals and other sports equipment to the playing surface. 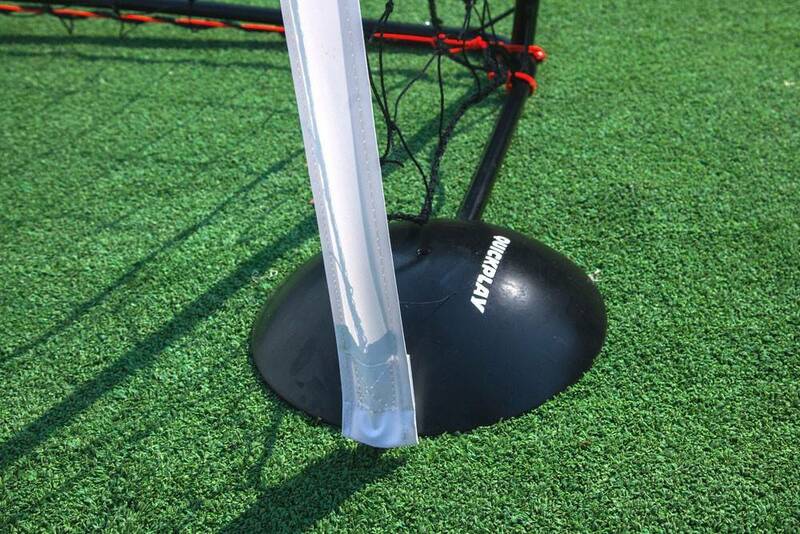 The PRO base weight features a 1in diameter slot on the underside, which fits over the frames of many different goals and nets.